Two of the most notable artists that called Provence their home were Vincent Van Gogh and Paul Cézanne. Each of them were captivated by the light that is there and spent their careers doing all that they could to represent that light in their own way. Both artists broke new ground for all of us that have come after them. They each pushed boundaries and gave the world the gift of being able to see the world in a new way. We will start our journey in Arles and St. Remy to follow the footsteps of Vincent Van Gogh. In these two locations alone there are so many fabulous places to visit and paint. You will find that at every turn you will see another scene that if it wasn’t a Van Gogh painting, it could have been. Another day in Arles with a visit to the Van Gogh Foundation Museum. The hospital in Arles where he spent some time after he cut his ear. It is still peaceful and beautiful. To be able to stand where he set up his easel to work on his paintings of the Langlois bridge south of Arles turned out to be one of the more moving and enlightening experiences last time we were there. We will definitely be going back to explore even further. St. Remy to visit St. Paul’s Mausole (the asylum) and paint in on the grounds and in the olive groves. We will paint among the olive trees, and in peaceful confines of St. Paul Mausole in St. Remy. You will be able to go to the room where Vincent stayed while he was here. Next we will move an hour to the east to Aix-en-Provence to visit the Atelier of Paul Cézanne. That is a great place to start this second leg of the adventure by spending some time in the actual studio where Cézanne worked and is today, just as he left it. Cézanne’s atelier in Aix-en-Provence is a short trip to Mont Sainte-Victoire that he made over 66 paintings and many drawings of and we will spend as much time as we can studying it as we can during our time in Provence. While we are in Aix-en-Provence we will pay a visit to the Musée Granet. This museum has an impressive collection of Paul Cézanne’s painting as well as many painters we know an love in their permanent collection that we will not want to miss. We will be staying in two beautiful houses that are located right next door to each other near the town of Tarascon. We will be staying here for the duration of our adventure. It is a short drive to Arles and St. Remy and many of the sights that Vincent painted. In fact he walked to Tarascon from Arles. If you are coming on a train from Charles DeGaulle Airport, go to www.trainline.eu . There you will be able to search for trains that will get you to Avignon. We suggest the direct TGV trains that leave at 8:30am or 1:58pm that arrive respectively at 11:43 and 5:06. You will only need to purchase a one way ticket from CDG to Avignon. Because you will be making your return trip to Paris from Aix-en-Provence. • Rates based upon double occupancy. • $500 deposit required to reserve your spot. • Deposits are fully refundable for up to 30 days from payment. • After 30 days deposit is non-refundable. • Full payment is due 15 March 2019. • After 15 February 2019, 50% of the total amount received is refundable. • If the retreat is canceled for any reason for any reason, all payments will be refunded in full. 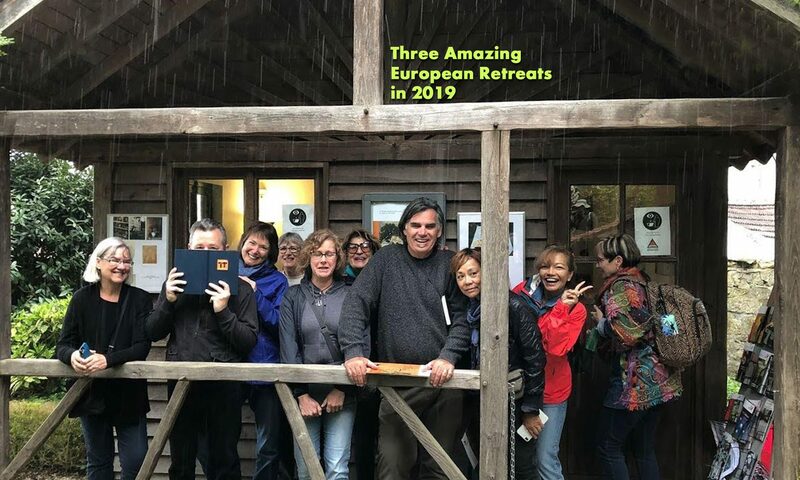 • You are required to have your travel insurance to participate in this retreat.